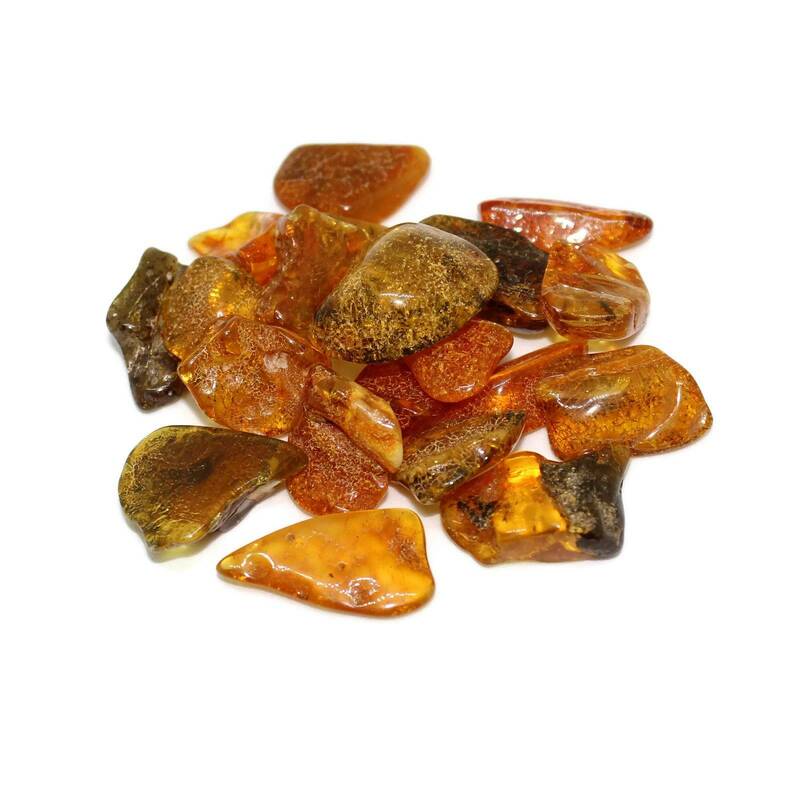 Absolutely stunning small Amber tumblestones, sold in three sizes. 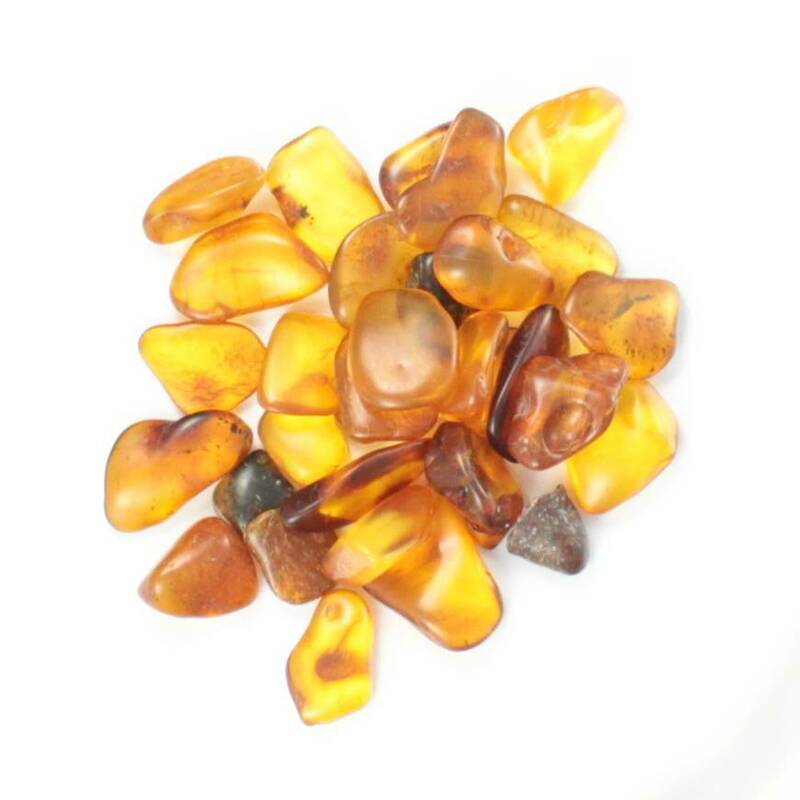 Gorgeous polished Amber tumblestones, sold in three sizes. We sell a range of packet sizes, as well as selling raw Amber. 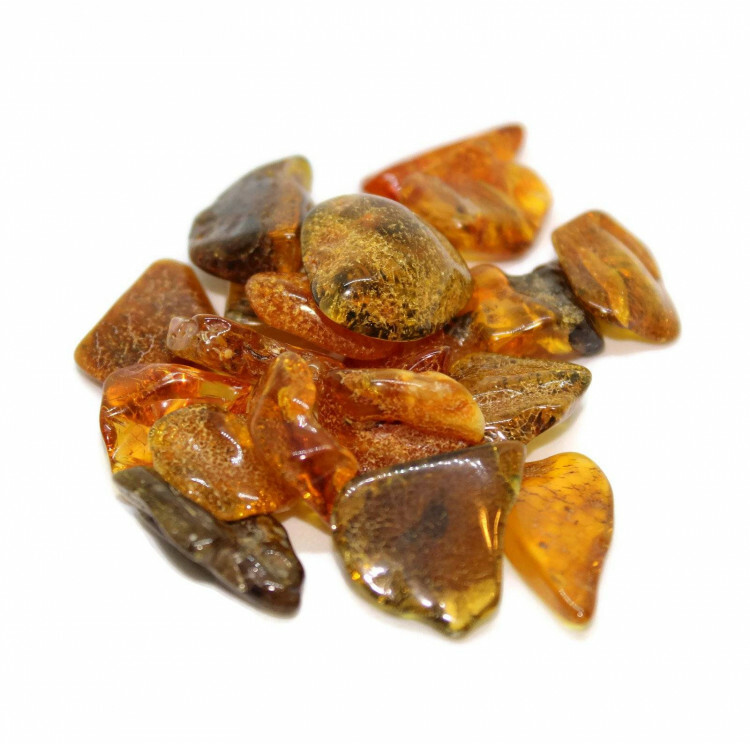 Amber is not often found tumbled, due to the value of the stone, and the fact that the cheaper prices are quite small anyway. 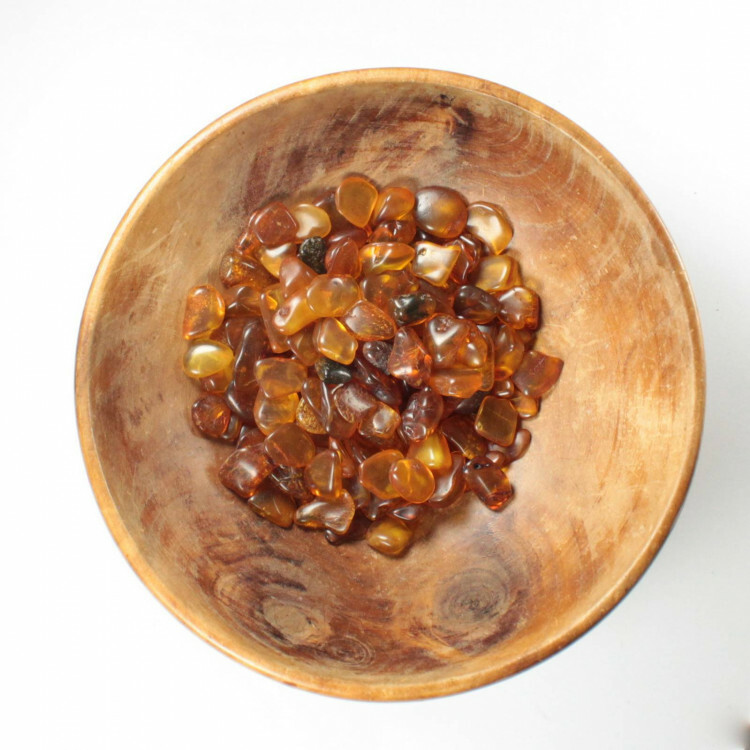 Generally speaking, Amber is sold raw/rough, cut into cabochons or pendants for jewellery, polished into display pieces, or cut and polished into shapes. Due to natural variations, we cannot guarantee the colours, size, or shape you will receive – there are a range of colours in these stones including oranges, honey, yellows, and reds. We have shown a large amount in our photos to try and show the variations in the tumblestones. The larger pieces are more likely to have inclusions such as mud, bark, and other organic matter; purely due to their size. We sell a range of Amber products, including raw/rough Baltic Amber. We are hoping to be able to offer large pieces and carvings soon!